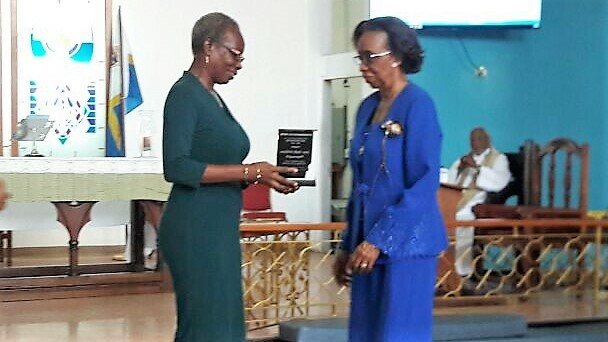 During the 40th Anniversary thanksgiving service of the St. Barnabas ECCE Centre, Mrs. Joan Yuille – Williams receives an award for Community Service. Giving the Award is Ms. Glenfield, the daughter of Mrs. Marjorie Theodore the founding Principal of St. Barnabas Nursery School. 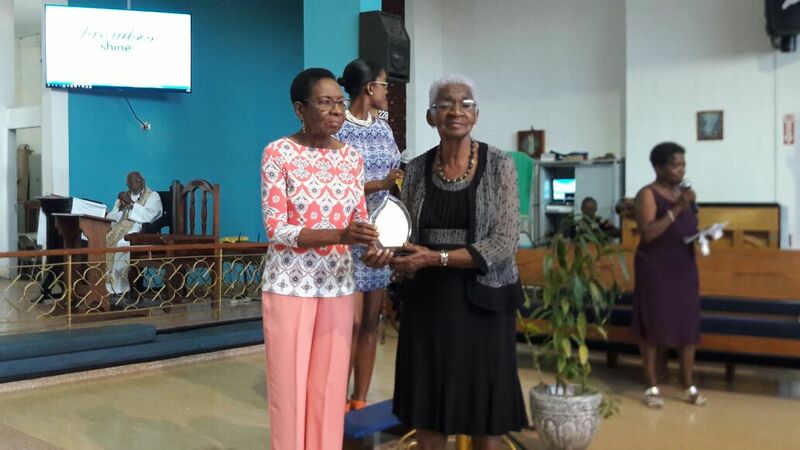 Ms. Magdalene Warner receives a Long Service Award at the St Barnabas ECCE Center 40th Anniversary Service. 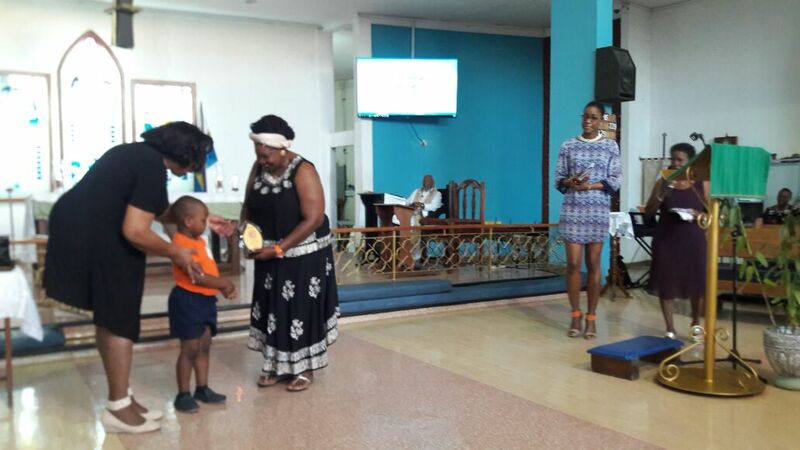 During the 40TH anniversary Thanksgiving Service of the St Barnabas ECCE Centre, Mrs.. Lenora Ross receives an award for Community Service for her contribution to the Centre over the years. Giving the Award is Ms. Lynette Roberts member of the Parish and Sunday School teacher.